Angel cards are an intuitive tool that connects the practitioner to the angelic realm and spiritual forces around us, using the elements, myths, and stories to help find answers, ignite inspiration and predict outcomes. Recently, they have increased in popularity for their teachings as well as their aesthetic beauty and attention to detail. Within are reviews of the 5 best angel cards on the market, plus the 2 worst to avoid. Daily Guidance From Your Angels by Doreen Virtue Review: The 44 card deck provides you with some of the best angel cards of 2019. 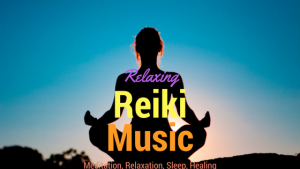 Written by best-selling author and doctor of psychology, long time angel and oracle card creator with over 30+ decks to her name, Doreen Virtue. As of 2017, Doreen has denounced her previous teachers and is now a controversial convert to Christianity. However, you can be sure to attain insightful readings and meaningful messages from this angel card deck. 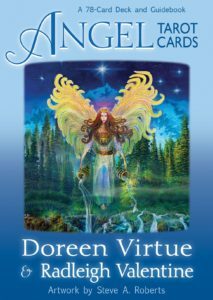 These Daily Guidance Angel Cards by Doreen Virtue differ from other sets as they are intended for daily readings (If you try to do a three card past-present-future reading, you may end up with crazy results!). The messages are profound and cut right to the core of whatever you are experiencing in your life. The pictures are simple yet beautiful, perfectly encapsulating the essence of the message. Even if you have never used cards before, the simplicity and direct tone of this deck will ensure you can use them daily with ease. Mystical Wisdom Card Deck by Gaye Guthrie & Josephine Wall Review: The combination of mystical beings, vibrant artwork, and uplifting messages, make this pack the best angel cards for beginners. These cards are perfect for enjoyable pictures and gentle readings. Mystical Wisdom Cards are so versatile and adaptable that you can begin a routine of pulling a card every morning. The writing themselves are clear and concise yet allow room for meditation on the message you are receiving. Featuring archangels, goddesses, fairies, and spirit animals, these cards can delight and provoke insight in anyone. The deck includes 46 cards and a 64 page, beautifully illustrated guidebook, filled with insights, wisdom, and most importantly, hope. For many, this deck has become a favorite, regardless of their experience with cards. Angel Tarot Cards by Doreen Virtue Review: The author of these cards, Doreen Virtue, is not only a best-selling author, but also a doctor of psychology. She has made many television appearances, and has been featured in articles and newspapers worldwide. To create these cards, she has worked in collaboration with artist Steve A. Roberts. The result is the most beautiful angel card set that is gentle, trustworthy, and inspiring. The symbolism and imagery – which includes fairies, mermaids, angels, and unicorns – and the stories behind their mythology, will provide you with profound guidance through your questions, desire, and needs. Doreen’s Angel Tarot Card Deck mirrors traditional tarot but is free from the negativity and ego-based properties often associated with tarot. Doreen takes the original tarot deck and puts a fresh, more positive, perspective on it. For example, the death card becomes ‘release’, and the devil in tarot is changed to ‘ego’. These changes do not take away from the cards power in any way, but rather open the readings to newer possibilities. Keepers of the Light by Kyle Gray Review: Kyle Gray became one of the UK’s youngest professional mediums at the tender age of 16. He claims he has had angels with him since he was four years old, continually receiving their guidance as his work evolved. Through his Keepers of the Light Cards, he shares his knowledge with the general population, helping them to tap into the profound wisdom of the angels. He is one of the most sought-after Angel experts and dedicates his life to helping others. This deck uses powerful, bright, modern imagery, combined with traditional symbols, to ignite the healing powers of traditional spiritual figures. Each card is expertly hand drawn by artist Lily Moses, who creates the images in a deep meditative state. As positive, light, affirmations, these cards are the best Kyle Gray Angel cards on the market. Angel Cards Original by Kathy Tyler Review: These cards are an international bestseller; they have sold over 1.3 million copies, and have been translated into 6 different languages. Kathy Tyler’s Original Angel Cards are beautifully made and serve as a great form of inspiration that can be used again, and again. This deck is different to the others as they just contain one word. If you are in need of daily inspiration or creativity, forming a habit around choosing a word each day to meditate and focus on will be hugely beneficial. Set an intention, ask for guidance, choose a card and feel how the word resonates with you. Take this word with you into your day, and allow it to affect your actions and interactions with those around you. This can help us become more conscious in our daily lives, as well as positively affecting others! Angels of Light Cards Pocket Edition by Diana Cooper Review: The author, Diana Cooper, is a traveling speaker. She specializes in topics such as; angels, Atlantis, spiritual law, and metaphysics. With this information, a potential buyer would assume the messages on the cards would be insightful and informative. However, the opposite is true. The messages on Diana’s Angels of Light Cards are underwhelming, and many of the ‘facts’ used contradict with popular historic opinion. 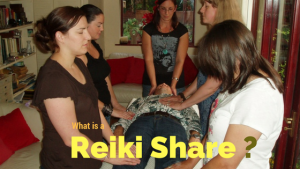 For example, the cards claim Reiki began in Atlantis, when scholars of holistic practice claim it was originally practiced in Japan. What’s more, the artwork on the cards is disappointing. The pictures are basic and the colors are bland. As the cards are a pocket edition, they are also incredibly small, making the detail in the pictures even harder to make out. If you enjoy detailed artwork, meaningful messages, and a larger deck, then you might consider these ones the worst angel cards on the market for you. Angel Prayer Oracle Cards by Kyle Gray Review: Spiritual Guru, Kyle Gray, is well-known for creating insightful and powerful cards. He has many followers who have purchased many of his decks and swear by using them daily, as well as for more profound readings. However, this particular set seems to have problems. These Angle Prayer Oracle Cards by Kyle Gray have been said to have arrived glued together, and they could not be separated for use. If they could be separated, paint was pulled off the cards, ruining the otherwise beautiful artwork. Unfortunately, the manufacturing of the cards does not match the high quality of the messages and artwork. Avoid these angel cards if you do not want to hassle of having to return them. Instead, try the above decks to avoid disappointment. The art of fortune telling has been around for thousands of years, and there are many different forms of attempting to foresee the future, from tarot cards to the best oracle cards. Whatever your reasons for wanting to purchase angel cards, it is important to take your time choosing the deck that is right for you. Once you have found a deck you like, research the author and artist. Check if their personal beliefs and philosophies align with yours. If you feel that their teachings resonate with you, its a good sign that this is the deck for you. Alternatively, if you are en experienced card user and tend to stick to one author, expand your possibilities by choosing a deck you would not normally go for, you may surprise yourself! When purchasing your Angel Cards, you should consider these three things… Are you purchasing the cards for yourself or as a gift? What are you or the receiver of the cards going through at this time? How often will you be using the cards? Who are the cards for? If you are buying these cards as a gift, carefully consider your intention behind buying the cards. If the receiver is someone who is usually closed off to spiritual practices, choose cards that are beginner friendly, positive and light. The last thing you want to do is upset the receiver by gifting them cards that are heavily spiritual and may offend their personal views. Cards make a wonderful gift for those who want to broaden their perspectives and are looking for new inspiration or guidance. If the person you are buying the cards for is an experienced card user, see if you can get a look at what kind of cards they prefer. Consider buying them a new style of cards, or perhaps a deck of cards based on a different mythology. They will appreciate the thought behind the gift, making them more receptive to the messages within the deck. What are you/the receiver going through? Some cards work best as short daily inspirations, whereas others are specifically designed to bring hope and light to the lives of people going through challenging situations. If you, or the receiver of the cards, is currently experiencing adversity in your life, consider buying a more detailed deck – perhaps one that also comes with a guidebook. More profound messages with detailed explanations will allow for a variety of different readings, making the message more personalized and beneficial to the reader. Alternatively, if you are looking for a little extra inspiration in your life, try simpler cards. Decks that consist of a short message and a simple yet beautiful design are great for personal interpretation. If your imagination is healthy and your mind is open, simpler cards like this are great for sparking creativity, setting new intentions, and seeing things from a new perspective. 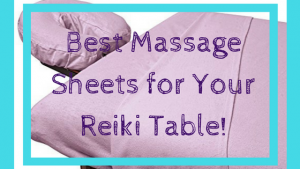 How often will you use them? Some cards are designed for daily use, whereas others are intended for deeper, more spiritual readings. If you are buying second hand cards, you will need to energetically cleanse them. This is the first step to keeping the tone of the cards positive and personal. You can do this by mindfully shuffling the cards with intention until they feel lighter in your hands. If you are pulling a card daily for guidance or inspiration, shuffle the cards and either wait for a card to spontaneously ‘pop’ out of the deck, or split the deck randomly at a time that feels right. For more in-depth readings you can use the included guidebook as instructions, or you could carefully select three cards for past, present, and future. The most important thing when using Angel cards is going by your intuition and what you are feeling in the present moment. Once you are comfortable with your cards, you will develop your own unique way of working with them, and even form a productive relationship with them. Although they follow a similar theme and concept, tarot cards and angel cards are vastly different. Angel cards contain detailed messages in words that can be used in a general reading in any given situation, whereas tarot cards are used to delve into detail about ones particular situation. An obvious difference between the two, is that Angel cards are based around angels. There is no “dark” imagery associations involved as there is in tarot cards. Whether you’ve utilized them for years or are just a beginner reading tarot cards, you will find it is based largely on intuition and experience, whereas angel cards are much more ‘user friendly’ and feel-good and can be beneficial to anyone, regardless of experience. Finding the best angel cards for you can be an exciting process. Just as you would when using the cards, trust your intuition, and know whichever deck you select will be right for you. Take your time to research authors, artists, mythologies, or philosophies that you are interested in. Find Angel cards that relate to or reflect them. When you finally have your angel cards, stay open, invite in the wisdom the cards have to offer, and most of all, and enjoy the journey.